New York is a city that continues to capture the world’s imagination. It has long symbolized wealth, the heart of the American economy, and a land of freedom and limitless economic opportunity to immigrants everywhere. For all the storied history of New York, a single trait has made much of it possible: its long standing position as the financial capital of the world. The financial district in Manhattan is home to many historic landmarks and institutions. Buildings, some over a hundred years old, are home to the world’s oldest and largest banking institutions. In particular, Broad Street is home to the likes of JP Morgan and the New York Stock Exchange, which has been a barometer of America’s economic health for almost 200 years. A stone’s throw from Wall Street with its neo-classical facade, the NYSE may be the ideal vestige of the old American hegemony; the exemplification of the powerful financial status quo. But just 100 feet down the road at 40 Broad Street is a newcomer, an upstart – a David surrounded by Goliaths. 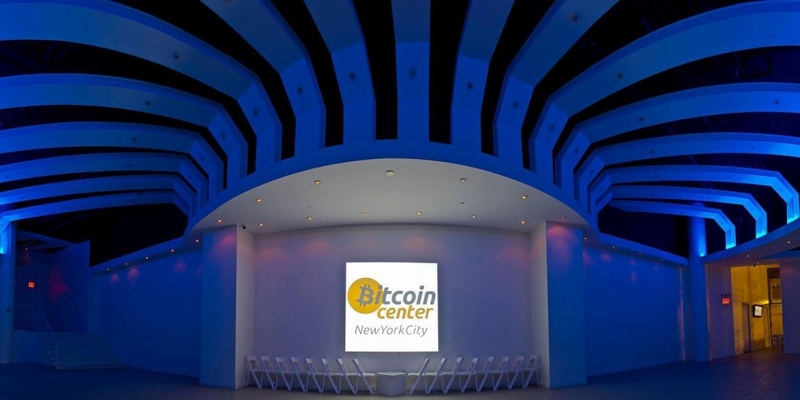 The Bitcoin Center NYC is a sparse, modern space, and is, as befits its purpose, missing the dramatic stone columns and ornate decor of many of the street’s other buildings. But what it lacks in exterior detail it more than makes up for in openness and excitement. It is the preeminent bitcoin location in the area, and currently hosts countless classes, talks, and a trading floor on Mondays and Saturdays. On my visit, it became apparent the Bitcoin Center offers something for everyone, whether new to bitcoin or an experienced veteran. Perhaps what is most important about what the Bitcoin Center has to offer, though, is the atmosphere. The individuals working at the Center, and those just dropping by, perfectly capture the feel of the cryptocurrency community, and what makes the bitcoin movement so fun to be a part of. All are extremely friendly, knowledgeable, but above all, contagiously enthusiastic. These people will tell you all you need to know about the Center, and the greater bitcoin movement. 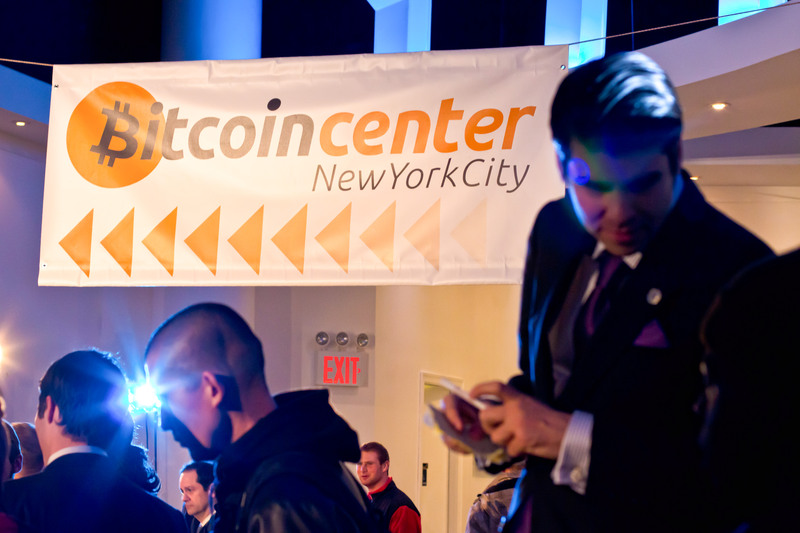 The Bitcoin Center NYC opened at the start of 2014, thanks in large part to co-founder Nick Spanos. Spanos proved to be very mathematically and technologically minded from a young age. He went on to study computer science at the New York Institute of Technology, only to drop out and pursue real estate after making $80,000 in the field over just one summer. Spanos became a spirited entrepreneur throughout his life, founding multiple businesses and websites. He later went on to work for the Ron Paul presidential campaign, working in database management and analysis, and is a self-identified libertarian. 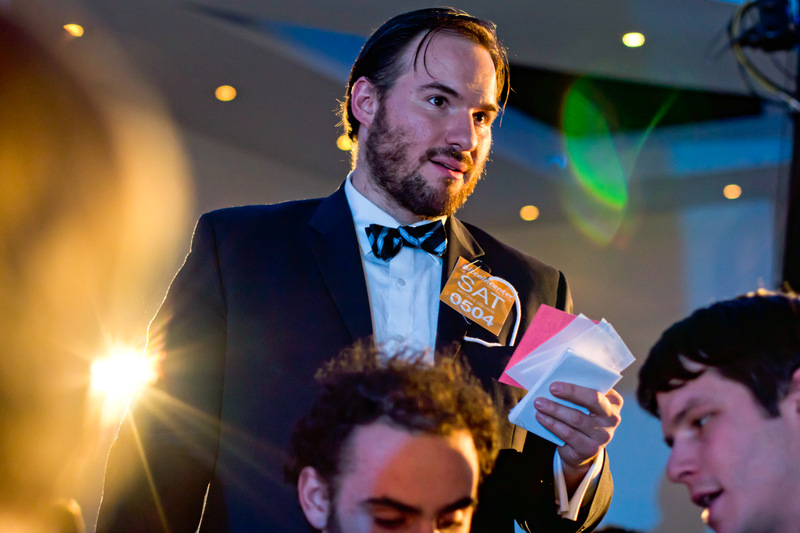 It was through his political involvement that Spanos met James Barcia, the Communications Director of the Bitcoin Center, and heard of bitcoin itself for the first time. Considering his background, it was no surprise that bitcoin would capture his interests. If there was a stereotypical list of attributes that bitcoin supporters commonly share, Nick Spanos has all of them, as a self-made, libertarian tech entrepreneur. “Truth has a place in our society now. There is now, for the first time, universal, chronologically verifiable truth in the monetary system. As a protocol, it’s better for us”. The NYC bitcoin community originally met outdoors in Union Square, resembling more a loose club than any organization. Spanos recalls the incident that spurred him to seek better accommodation for the renegades. The group eventually moved within spitting distance of America’s most famous street after Spanos and some of his real estate partners acquired the location at 40 Broad Street. Bitcoin was moving up to the big league. Many at the Bitcoin Center, like the bitcoin community at large, all have similar political or social history that made them particularly conscious of flaws in monetary systems that most others in developed countries take for granted. However the Bitcoin Center is not without its diversity either. Alex Andros, who is responsible for external relations, is Greek and Spanish, and has first-hand experience with inflating currencies and over-extended governments, as well as being a financial analyst by trade. He first heard about bitcoin from a friend who was directly affected by the banking crises in Cyprus, and was immediately interested in its significance from an economics perspective. On the other hand, Andrew Vecchio didn’t know much about bitcoin when he first walked into the Center pursuing internship opportunities in the Big Apple, but was immediately captivated by the protocol’s decentralized nature and the choice it offered consumers. While many in the bitcoin community believe the sky’s the limit, there are definite hurdles that have yet to be overcome. One of those hurdles is simple education. While bitcoin has made exponential gains over the past year, many have either not heard of it, don’t understand it, or even worse are completely misinformed about various aspects. 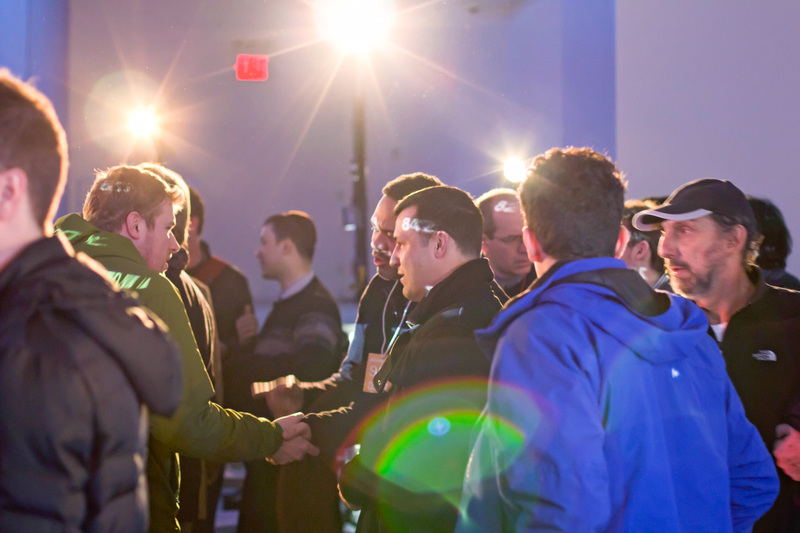 That’s where a physical location like the Bitcoin Center comes in – a place where anyone is welcome to walk in and learn more about bitcoin in person. Indeed the Center has seen everyone from curious individuals to small business owners to professional economists. 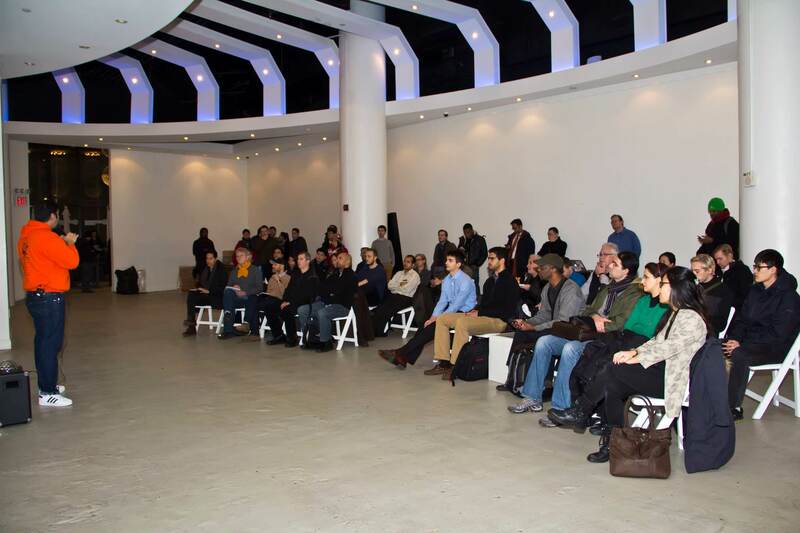 “All kinds of people come to our classes to learn how to take advantage of bitcoin. That tells you a lot about how widely appealing cryptocurrencies are. One of the funny things you often see here is the younger guys are usually teaching the older ones how things work, not the other way around. It’s the newer generation especially that is taking to bitcoin”. As a whole the Center has received overwhelmingly positive media and community reactions, a reflection of the quality individuals there. Beyond basic education, however, the Bitcoin Center is starting to reap the benefits of New York’s most valuable attribute: its networking capacity. As the most densely populated city in the US and the financial capital of the world, New York is a pool of both talent and resources. Such a move would no doubt have massive implications in a market currently plagued by security breaches, theft, and exchange shut downs. The community will likely have to wait until a later date for more details, but Spanos hopes to launch the full-time exchange sometime later this year, and promises it won’t interfere with the Bitcoin Center’s continuing educational operations. Plenty still harbour doubts about whether bitcoin has long-term potential, let alone if it can challenge the entire global financial system. Indeed, despite its location, the rather unassuming Bitcoin Center NYC will probably do little to change the minds of critics by appearance alone. Yet when comparing it to the much older and more powerful institutions around it, it’s important to keep some historical perspective. Over four centuries ago, in 1607, a group of traders in Amsterdam spent their days haggling with one another on one of the main commercial streets in the city, the Warmoesstraat. However these traders weren’t exchanging goods or even, to the confusion of many, anything tangible for that matter. They were trading shares for the Dutch East India Company – the very first joint-stock company on the planet. The market for that single stock became so active that an indoor exchange was built the following year, near the town hall, to accommodate the traders. It was in that unassuming building and from humble origins where a financial revolution that would shape the history of the world was beginning. Today the New York Stock Exchange and the rest of the financial district in Manhattan stand as the pinnacle of that revolution, and are now witnessing firsthand what, to history, is an all too familiar scene. If these Goliaths aren’t worried about the newcomer down the street, then they should be.